Find a great sale price on this 2018 Ram 3500 Chassis Cab Tradesman 2WD Reg Cab 60 CA 143.5 WB 10K GVWR at Lasher Auto Group in Elk Grove California. 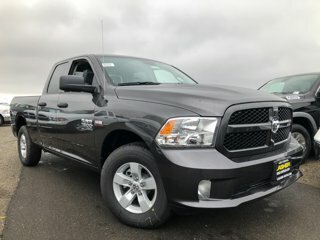 This 2018 Ram 3500 Chassis Cab is located at our dealership in Elk Grove. We also serve the cities of Sacramento and Roseville. So if you're looking for a great price on this 2018 Ram 3500 Chassis Cab Tradesman 2WD Reg Cab 60 CA 143.5 WB 10K GVWR or just looking to get an auto loan for the vehicle you want... you've come to the right place! Lasher Auto Group. Service Body Features .Body Construction of A-60 Galvanealed Steel Locks Out Rust and Corrosion .Single Doors on Front Compartment for Enhanced Resistance to Water and Dust .Weather Stripping for Dust and Water Resistant Compartment Interiors .Rain Gutters Above all Doors .Gas Springs on all Vertical Doors and Chain Stops on Horizontal Doors .All Compartment Doors are Double Paneled .Trademarked Recessed Stainless Steel Door Pockets with Internal Fasteners .Top Lids Have (2) Gas Shocks and (2) Rotary Latches Each Mounted on Lid Ends .Bright Tread Aluminum Diamond Plate Overlays on Top Lids Price includes $8,500 worth of dealer added accessories.